Answers to your common prenatal nutrition or infant feeding questions. Breastfeeding is a miraculous way to bond and nourish. But it’s not always intuitive and you may need support. 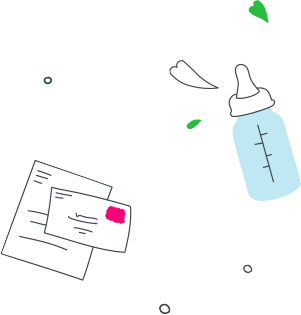 Ask your doctor, nurse, or midwife for help or your local public health department can also help by referring you to lactation consultants or breastfeeding clinics in your area. La Leche League Canada is a great source of information and we encourage you to visit their website for more information (https://www.lllc.ca/). * Not meant to replace your physician’s advice. Contact us today to get credible prenatal nutrition and baby feeding help. Please select the subject Please select the subject. Have a question about Similac®? Simply fill out the form below!